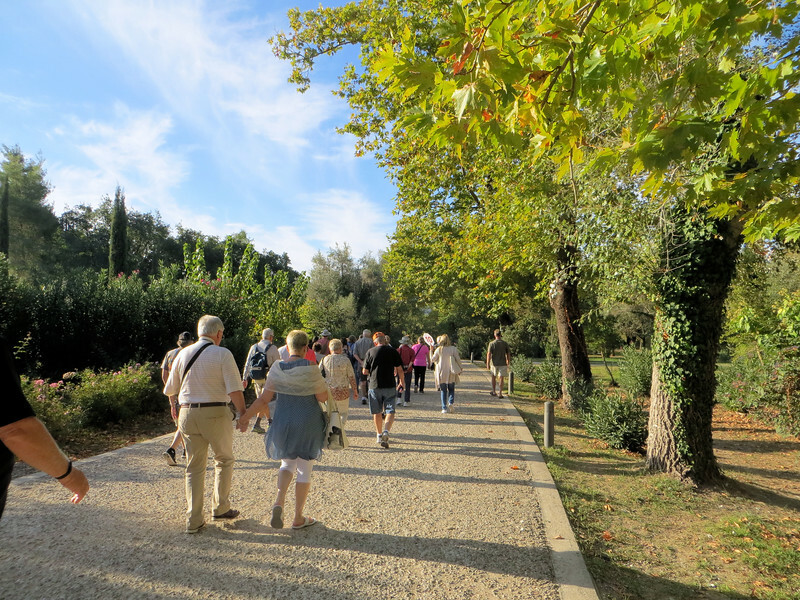 Walking into the ancient sanctuary of Olympia. Human settlement in this area dates back to the 3rd millennium B.C., but it is best known as the Greek religious center dedicated to Zeus--and the site of the original Olympic games. The games took place here every 4 years for more than a thousand years, 776 B.C. to 393 A.D.